Gold Breaks IMPORTANT Price Level for Fiore Gold! ​Gold has just surpassed $1,270 per oz, which is a very important price level for NIA's #1 stock suggestion for 2019 Fiore Gold (TSXV: F). How come? Back on August 3, 2017, Fiore Gold's predecessor company Fiore Exploration closed on a massive $17 million private placement at a pre-merger share price of $0.305. 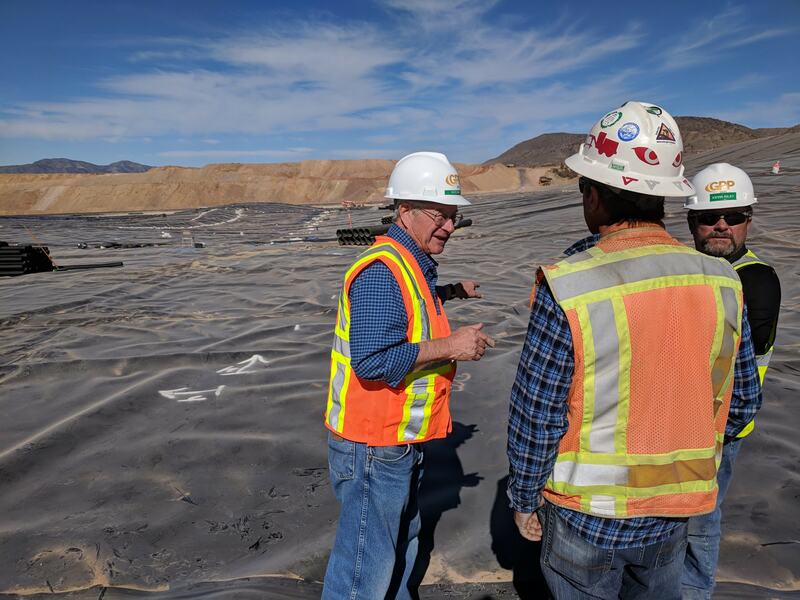 The following month when Fiore Exploration's merger with GRP Minerals Corp (owner of the producing, cash flow positive Pan Gold Mine and adjacent Gold Rock project in Nevada) closed, Fiore Exploration shareholders received 0.265 share of Fiore Gold for every 1 share owned of Fiore Exploration. This means that large institutions effectively invested $17 million into the newly formed Fiore Gold at a price of $1.15 per share valuing the company at $112.378 million. For each share purchased, institutions also received one warrant to purchase an additional Fiore Exploration share at a pre-merger strike price of $0.45 per share. When the merger closed and Fiore Gold was formed, they received 14.777 million warrants to purchase one share of Fiore Gold at a strike price of $1.70 per share. These warrants will become "in the money" once Fiore Gold's market cap surpasses $166.12 million, which we believe will happen in 2019! When Fiore Exploration's $17 million private placement closed on August 3, 2017, gold was trading at $1,270 per oz. Now that gold is above this price, Fiore Gold has every reason to return to a price of at least $1.15 per share immediately! When large insitutions invested $17 million into Fiore Exploration/Fiore Gold at a post-merger price of $1.15 per share on August 3, 2017, they clearly believed the stock would deserve to trade at prices far higher than $1.15 per share. Considering that they negotiated a post-merger strike price for the warrants of $1.70 per share, we are sure they considered a fair value for Fiore Gold to be $2 per share or higher. Once Fiore Gold reaches a price of approximately $2 per share in 2019, we expect to see the company announce a new private placement to raise between $50 and $100 million. With Frank Giustra backing the company, Fiore should be able to raise $50-$100 million with ease. Giustra has never had a problem raising any amount of money for any company, because his investors almost always end up earning HUGE profits on every investment. You must understand how lucky we are to be able to accumulate Fiore Gold today at prices far lower than where the multi-millionaire friends of Giustra invested in 2017! If we are right and Fiore successfully raises $50-$100 million in 2019 at a price of approximately $2 per share, we expect Fiore to use these proceeds to bring its Gold Rock project into production, which has average gold grades that are 64% higher than the Pan Gold Mine. Not only will Gold Rock allow Fiore to increase its production by at least 100% to over 100,000 oz of gold annually, but we expect Gold Rock to be far more profitable than the Pan Gold Mine, allowing Fiore Gold's annual earnings from mining operations and operating cash flow to immediately increase to a level that is 4-5X higher! Be sure to tell your family members about Fiore Gold when you see them for Christmas! It will be the best Christmas gift you will ever give them! Next year, they will be thanking you BIG time!